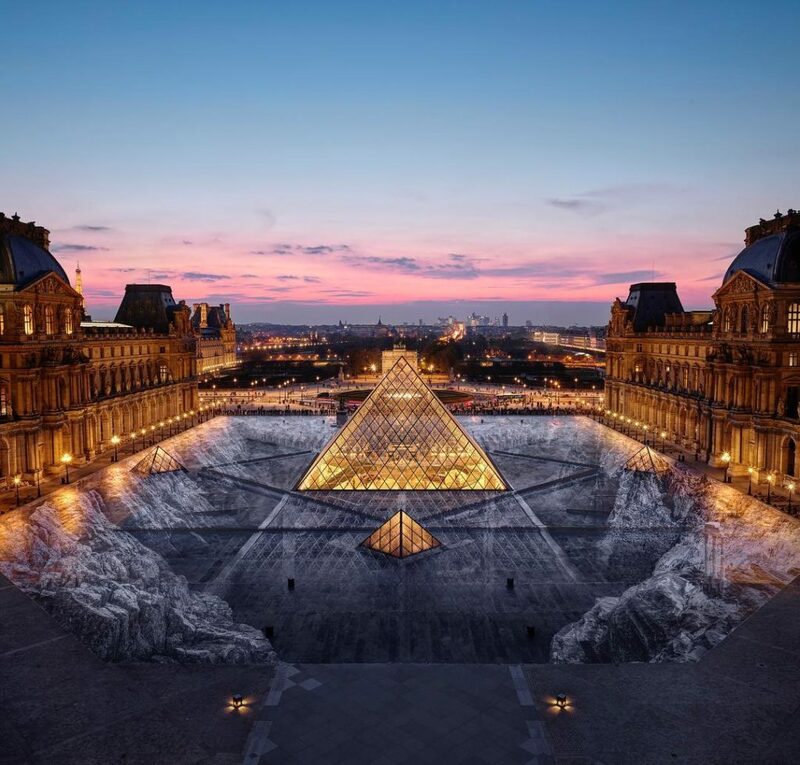 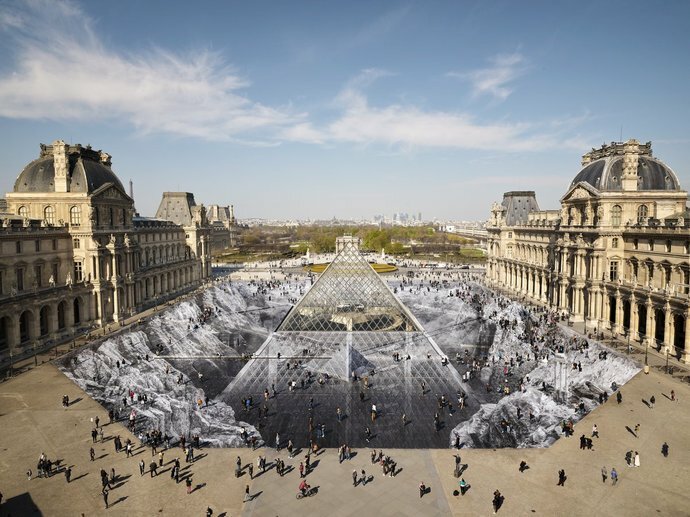 To celebrate the 30th anniversary of the Louvre’s Pyramid in Paris, French artist JR teamed up with 400 volunteers to create an optical illusion using 2 000 paper strips. 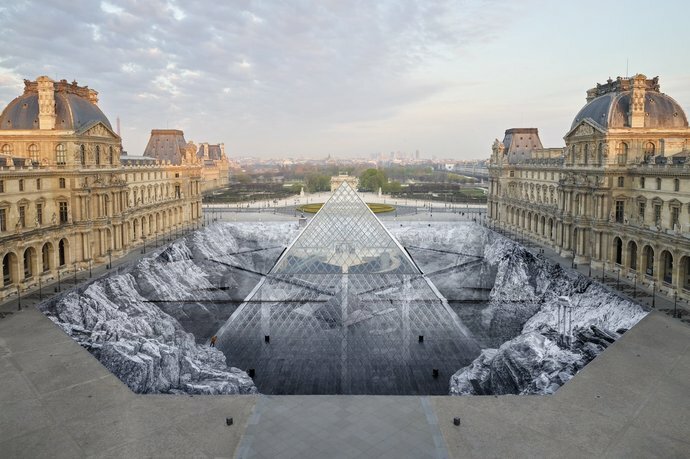 The collage is titled “The Secret of the Great Pyramid” and exposes what may lie beneath the architectural structure. 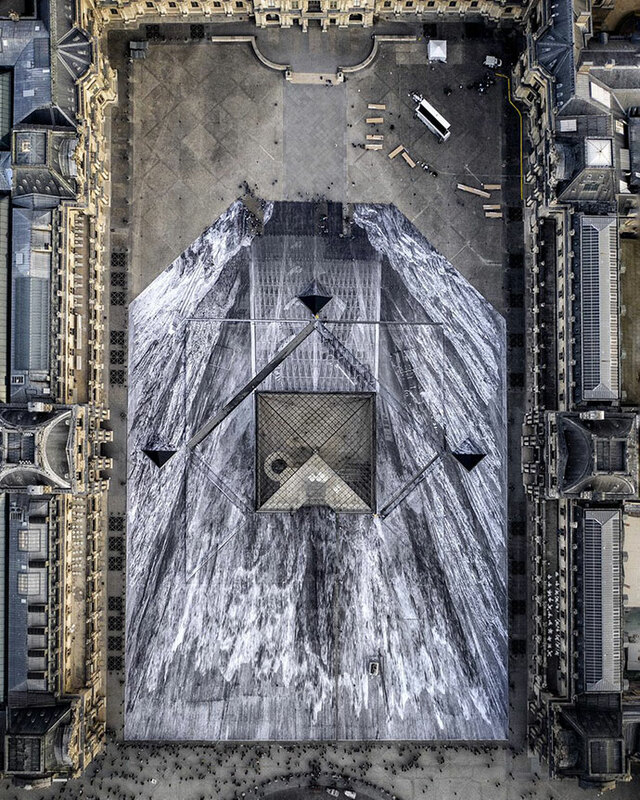 Around the iconic pyramid, JR has created a glimpse into a construction site, which looks like it travels downwards into a deep rocky hole. For more of JR’s work, follow him on Instagram.